Finally! 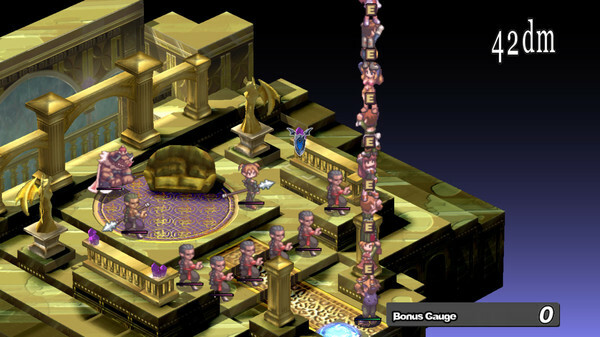 a Disgaea game on PC... Although I would've preferred a more recent game in the series, this will do to start with. Gonna take a bit of getting used to though, the mechanics have come a long, long way since the original. I hope they don't change any of the songs from how they were in the PSP version. Also, could this possibly signal the coming of the sequels to PC as well; or will this be a one-time thing? Depends on how well it sells, I guess. If it tanks, I doubt we'll see any more. 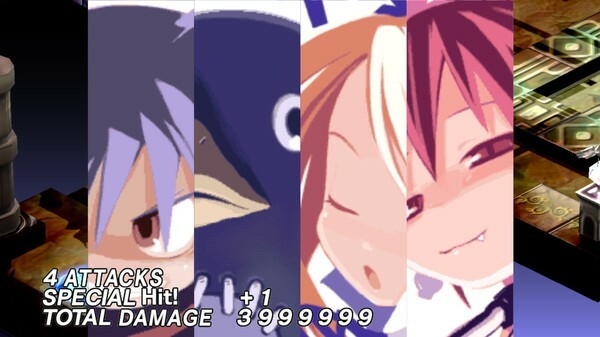 I dunno, NIS has quite the love for re-releasing pretty much all of their games, I wouldn't doubt that we'll see PC re-releases of the later Disgaeas... though I'm probably just being hopeful that they give a PC version of Disgaea 3, which is far and away my favorite of the lot so far (haven't gotten a chance to play 5 yet though, curse not having room for a TV in this crappy dorm :/). Disgaea misspelled in hed and subhed. There's also a mistake in saying the franchise has been released up to the PS3. It had a recent release on the ps4 as well. 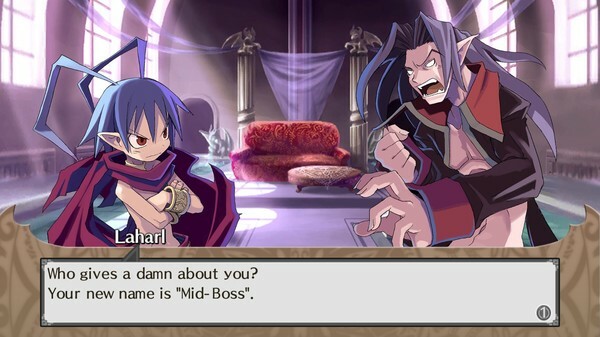 What I really want is a port of Disgaea 2 to the 3DS. If I'm going to be grinding for hundreds of hours, I want to do it on a handheld. 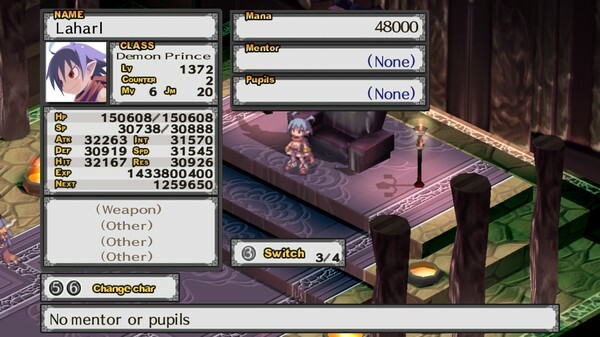 Like come on, Disgaea DS came out in 2008, how long do I have to wait before I can play the sequel? Heres hoping the better sequels will come to PC as well. 4 especially being my favorite. Heck yeah... good ol laharl and his ridiculus laugh. As over the top as these games are (and they are ridiculusly over the top... throwing exploding penguins anyone?) they could tell surprisingly sad and deep stories.... and then make fun of the main girls flat chests in the next moment. What are the odds, today I bought the Triple Play Collection for the PS3. Good on you PC people, it's a great game. No joke, currently replaying dark hero days lately, so nice timing. Have the original ps2 game, loved the hell out of it, even if it does have flaws. I might grab then when released, though in truth I am hoping it signals the other games are coming to pc too, and hopefully I can get the 3rd game since I've not been able to play that one yet. We need more PS2 games on Steam. We need all the PS2 games on Steam. Definitely going to buy this! I'm always worried about the day my PS2/PS3 will die and I won't be able to play my favorite SRPGs anymore. Here's hoping this does well and eventually Soul Nomad gets a PC release. ok... lets hope I can actually get my OS updated by the time this hits. Hey world, no more money sapping emergencies for a year or so please. We good? and then make fun of the main girls flat chests in the next moment. Lemme know when Timesplitters comes out for that. I have a sudden sci-fi handgun itch that Borderlands can't seem to replicate. Neither Etna nor Flonne are 10000 years old, nor do they choose to look like they do. Etna's outright hostile out of envy against more curvaceous women. I'll grant you that she's not 10K years old, that was my foggy memory as she is in fact only 1,400 or so. As for her appearance, I'm almost certain that in Disgaea 2 when someone remarks that she looks like a child she says that she simply chooses to look that way...though this could just be a lie. She's referring to her outfit and her style, and she's in denial about her flatness. She can't actually change her form. Good, I finished it in the PSP but never really went real deep into it. and even spawned a franchise that saw release right up into the PS3 generation. Dearest Steve, Disgaea is actually still going! We saw a PS4 release of the latest title in October. It's one of my favourite franchises of all time and I hope everyone gives it a try! 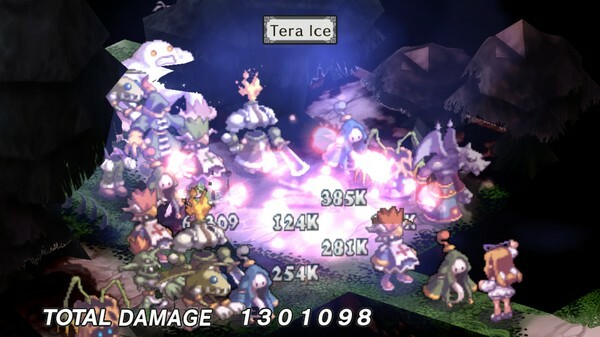 Wonder if they'll be able to integrate the Prinny commentary from the DS version. It's the reason why I prefer it over the other 2 despite the DS having the weakest graphics. Eh, it was pretty cool, but I'll take the PSP or PS2 versions over the DS one. At least you can throw diagonally in those. Cleaver strategy. Release a decade old game on a different platform that is for a niche audience that your audience should already have in spades. If the game sells well then you know you have an untapped audience of the platform, and if not then you know you don't have to develop for it. That's what they used Phantom Brave for with the Wii, and Disgaea on the DS, and Atelier Annie on the DS as well. I suspect this will be another proof of failure for the PC, and they'll get next to nothing in the future like the Wii, and DS. Unfortunately if you're interested in these kinds of games like I am them you area already aware that if you want reliable releases to get to you then you need to have a Playstation. This knowledge ensures the vast majority of their market is already being sated, and these test runs are all ,but ensured to fail. But maybe if the stars are aligned then maybe.